Anthony “Million Dollar” Crolla earned less than 30% of his nickname in a bout where he never really got started. Overwhelmed from the 1st bell on by the probing of the “Matrix”, who touched and watched and timed and turned and manipulated Crolla into a state of confusion. On cruise-control into the 2nd round, “Hi Tech” was relaxing as he processed the data coming from his prey and answered with a steady tap, tappy, tap. Taking openings, choosing combinations and landing quick shots was amusing him, but Loma got bored and started punching harder. As the round was winding down, the “Matrix” was winding up and put a nasty combinations on Crolla, punctuated shortly after by a hard hook to the body as the round was nearly over. The 3rd round began, now Loma was warm and Crolla was in deep ****! Brave but helpless, “Million Dollar” was already bankrupt. 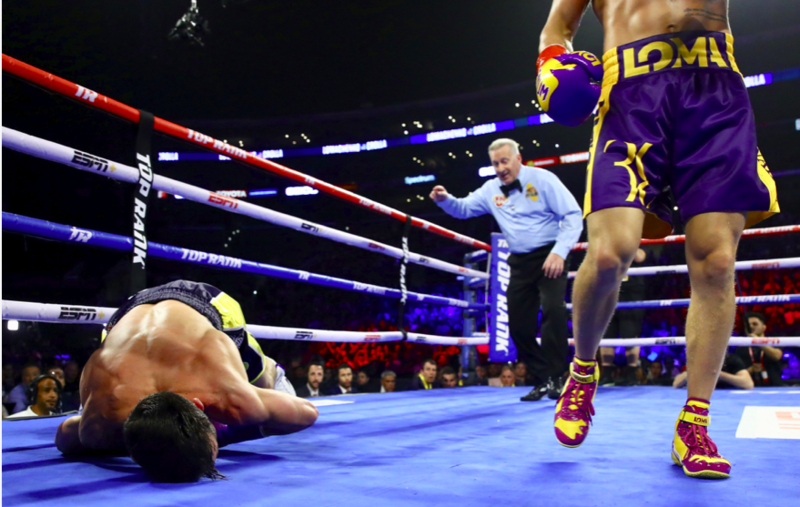 Unable to do anything to discourage or disrupt the Ukrainian cyborg machine that was marching him into the ropes and the corners, Crolla was on his bicycle. Faster, harder, painfully placed fists were wearing Crolla down and he was in full survival mode near the end of the round. Loma punished him with compound flurries as referee Jack Reiss watched closely. When Crolla collapsed back against the ropes, the ref called it a knockdown and signaled as such. A great call by a great referee, but it seems both Loma and ringside officials did not see or understand the clear hand signal for a downed fighter. Jack Reiss had not waved the bout off, and he angrily kicked the officials out, sending Loma to the neutral corner. Then bell ending the 3rd saved Anthony Crolla for another minute. 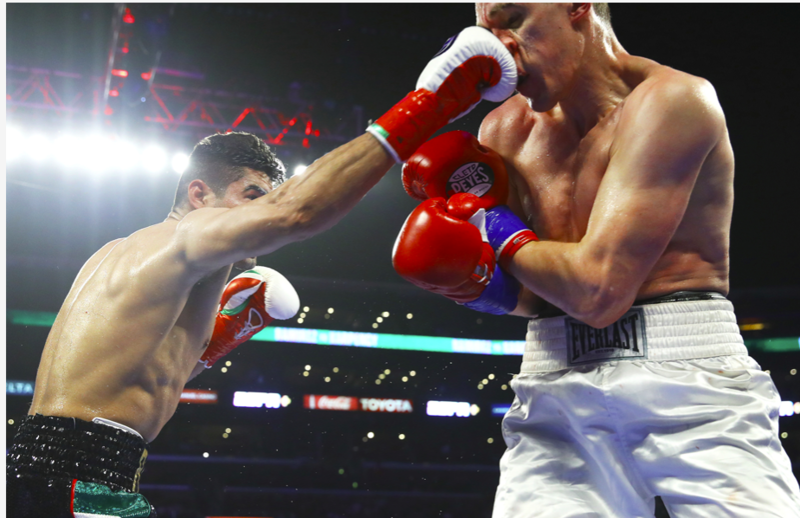 Opening of the 4th round and Crolla knows all too well for whom the bell tolls, as he searches for shelter from the storm along the ropes and in the corners. The ropes offer only a trap as the “High Tech” monster closes in. Crolla knows he doomed, as he asks himself how many bloody arms and fists this fkn “Matrix” has. The punches are short and crisp, pinpoint and punishing. First Crolla gets the wind knocked out of him, then he retreats to the ropes and dips forward to avoid another hook from Loma. But the “Matrix” bends time and space with his right hand, turning the punch downward into a chopping vector that accelerated into Anthony Crolla’s left parietal bone. 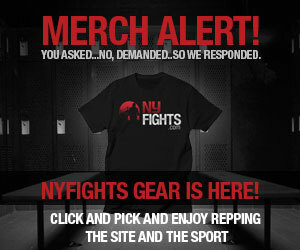 Striking him above and just behind his left ear, the punch landed on the legal borderline as Crolla was dipping down. The thud was very distinct and loud as Loma’s glove padding compressed in an millisecond and his fist hacked across the skull of his foe. Lights out, a face plant, no count from Jack Reiss who comforts him instead, rolls him over as the ring doctor arrives. It takes minutes to finally get a totally wobbled Crolla onto a stool as he slurs his mantra, “…I’m fine, I’m fine…”, barely able to keep his eyes open, no less focus them. The technique, the placement, and the result say candidate for KO of 2019. Lomachenko crumples Crolla with a hook on April 12, 2019. Jab Hook had expected a technical flourish and a wonderful show from Lomachenko et al. Instead we got a new Lomachenko lethality that was coldly and flawlessly implemented. The “Matrix” transformed an otherwise dangerous and tough fighter into a running prey, a game to be won, a foe to be finished. We all wait and wonder, who, when, where, and how can anyone keep up with this evolving phenomenon that so many call their favorite boxer today. Jab Hook predicted a late round TKO for Loma, who decided that was too boring and ended it much faster. Gilberto Ramirez has always looked huge as a super middleweight(168 lbs/ 76.2 kg) and stories of his past weight cuts have circulated among insiders. So a move up to light heavyweight(175lbs/79.4kg) for the WBO belt holder at super-middle was understandable. 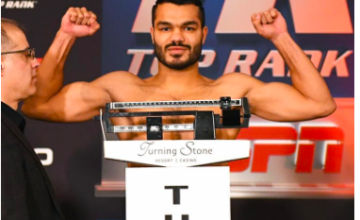 However, after seeing a rehydrated, light heavyweight “Zurdo” in the ring at a report 196 lbs/ 88.9 kg, and after watching him move and punch with his clearly retained punching power, Jab feels light heavyweight is where Ramirez belongs. How could he ever get back down to 168 lbs/ 76.2 kg, and should he even try? Tommy Karpency really wanted to get started and threw shots at Ramirez here and there, but it was “Zurdo” who moved him around like a pawn from the opening round until the game was over. High activity, nice footwork and busy combinations kept Karpency mostly on the backfoot. Gilberto invested in “Kryptonite’s” body as he outworked and outlanded the veteran opponent and steadily built the pressure on him across the early rounds. In the 4th round Tommy struggled to hold him off. Boxing with discipline and skill, Ramirez was more accurate and powerful than Karpency. 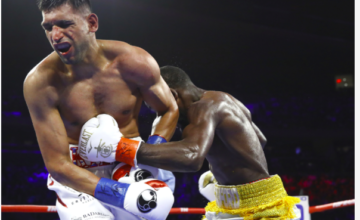 “Zurdo” outclassed him with hooks from angles and variable combinations that were landing and demoralizing Tommy, who was also running out of gas. All this was being watched carefully by referee Ray Corona. Jab Hook greatly appreciates a good referee, and my man Ray is better than good. Referee Corona always knows what’s going on in his ring, eyes like a hawk, quick as a coyote. So Ray saw the resignation in Tommy eyes as the opponent hugged Ramirez at the bell ending the 4th. The ref let him have his break. Then, as Karpency Sr. was giving him last instructions, Tommy Jr stood up and the ref asked him, “you wanna stop the fight…You want to stop the fight?” “Kryptonite” krumbled and knodded yes, retiring before the 5th round. 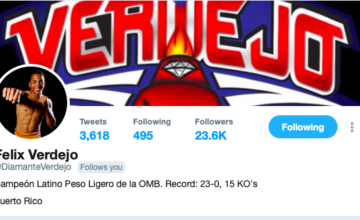 Just as point of reference, in his debut at light heavyweight, Ramirez stopped Karpency in 4 rounds, Fonfara did it in 7, Stevenson in 3, and Gvozdyk 6 rounds. Jab is very impressed with “Zurdo” Ramirez in this weight division, he expected a dominant decision win, not a destructive ending. Jab was 2 for 2 on the card. ← Previous Story Acting Up Isn’t Necessarily Hurtful To A Career, Right Conor McGregor?